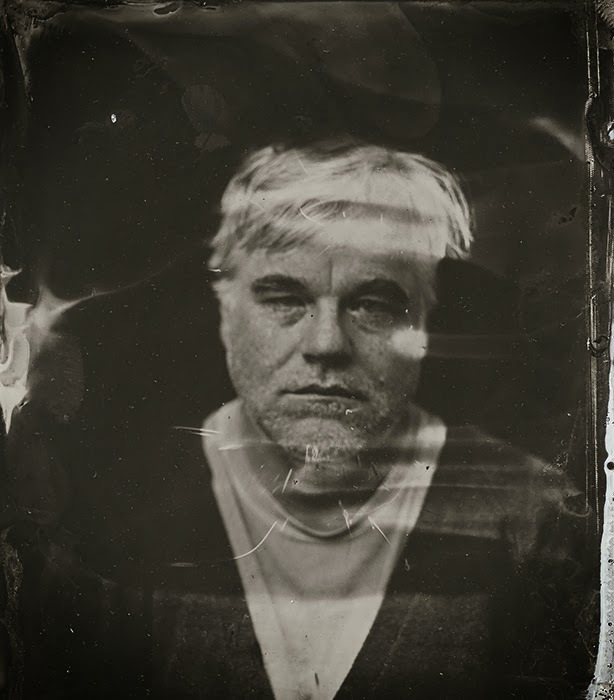 I don't remember a time when Philip Seymour Hoffman wasn't the most credible of actors. I've always enjoyed movies and filmmaking. I made mini Super Hero films throughout my childhood and early teenage years, but was the oldest of my siblings so had little access to the more serious films in the years Hoffman came to prominence. I began writing in high school and really began taking in film as an art form and something to really be marveled at if not for the work and technique each person involved must put forth and hone, but for the suspension of self-conscientiousness an actor must have to perform any part of their job. As I began to delve further into the smaller films, the ones that didn't get big weekend releases I began to realize the consistency with which Hoffman operated. I remember discovering the reputation of the Coen Brothers and my need to go through their filmography and watch as many of their films as I could. The natural starting point for me in 2005 was The Big Lebowski since I'd already seen O Brother, Where Art Thou? and as the time between that and No Country for Old Men wasn't the kindest to the Coens I stepped back one further and was introduced to Jeff Bridges The Dude. Before Bridges was able to leave an impression though we meet Hoffman's Brandt and it is in his small contribution here, paired with the chatter he was beginning to receive for his portrayal of Truman Capote that I began to realize this guy was one to watch and was not entirely the goofy, portly fellow in a long line of goofy portly comedians trying to establish their own careers that I'd seen a year prior in Along Came Polly. That isn't to say his turn as Sandy Lyle was anything less than hilarious and perfectly on point for what it needed to be, but there was clearly an air of talent around the guy in that he could step into that kind of role, looking like he did and completely steal the show and that is what he did in minor films like Polly so it was only natural he would become a force of nature in the more serious, prestigious and meaningful roles he would come to be known for. I won't pretend that I have some unique insight into the life Hoffman led or what drove him to the kinds of roles he took or a correlation between those and the unfortunate, but strangely fitting nature of his death. No, this is a simple look at a career and a prominent one that influences the topic I think about most days and write about the majority of the time. It is an unfortunate loss for fans of his work not in the same way that his family will mourn his loss, but in the idea we will never see him grace the screen again in new work or inhabit a character unknown to us. His eclectic roster of characters will no doubt serve as ample satisfaction for remembering the variety of talent Hoffman had for playing people across the spectrum, but his ability to infuse every character with a well-rounded, complete personality that could be known for more than one thing is a highlight not many "actors" are able to claim. I came to know Hoffman for his sincere talent in the year 2007. I know that is rather late to the game, but after seeing him in his definitive Capote performance I wrestled with that as the primary perception I had of him despite the smaller, supporting roles I'd seen prior that were a complete one-eighty from the small, squeamish mannerisms he acquired for his take on the flamboyant author. Sure, his success on the awards circuit through director Bennett Miller's feature directing debut pushed him into more massive celebrity and thus brought on the rush of big studio offers, he didn't allow it to detract him for long. He took on the villainous role of Owen Davian in J.J. Abrams highly underrated third installment in the Mission Impossible series in 2006, but a year later he rolled out three separate features that put on full display the range Hoffman could play and how he came to show us the different kinds people one person could turn into given the nature of their influences. The biggest of the bunch was Charlie Wilson's War which earned Hoffman his second of four total Academy Award nominations and co-starred Tom Hanks and Julia Roberts. As year-end Oscar bait Wilson never really took off the way it was likely expected to, but Hoffman was far and away the highlight as Gust Avrakotos. His secret agent was a cross between the humorous tendencies he'd displayed in prior roles, but with a vitriolic edge that expressed a confidence in his job and that he better knew how to perform his role than those actually running the show. In many ways, it seems Hoffman, the man, played this role in the business of Hollywood as well. His other two roles of 2007, were not as flashy and in many ways afforded his unconventional Hollywood look to better serve him. I don't recall much of Savages, but it was in director Sidney Lumet's final film, Before the Devil Knows Your Dead, where he portrayed one of two brothers who organize a robbery of their parents jewelry store that naturally goes horribly wrong and triggers a series of events throughout their lives that hit me hard. It is pure melodrama, but in Lumet's hands and in the hands of Hoffman and his co-stars this film opened my eyes to what truly effective filmmaking was. Hoffman's Andy was a sick, control freak of a man, but we felt his pain and his determination to prove the pre-determined outcome his life placed upon him from the outset all wrong. It is a nearly two-hour wreck of a film where we wait on the edge of our seats to see where all the pieces will land and Andy is the key stone that tries to build up the elaborate scheme that ends up pulling everything down. Not only is the movie a dark and suspenseful piece of cinema, but Hoffman's performance dives as deep into the disturbing morality of the story the film is telling as it does the motivations and justification Andy creates for his own actions. Andy is a revolting presence, but Hoffman forces us to watch him go from a man who is well-mannered, who seemingly has it all together to someone that has lost it all, that is desperate for the approval he will never be granted and it is the first performance I thought of when hearing of Hoffman's passing. I don't know what that says about the perception I had of Hoffman's private life, his real-life as it might be more understandable, but I can only imagine the circumstances of his death hint at a man desperate for his own approval or from that of a creator, a high being or calling that could never be known or achieved in this life. That, like Andy, there was always a pressure not to accomplish the goals or expectations set on him by anyone else, but those he placed upon himself. Andy was his own worst enemy and I can't help but to now eternally wonder if the same was true with Hoffman. Throughout Hoffman's storied career there was always the reassurance that he would more than likely have a part to play in the next odyssey director Paul Thomas Anderson might concoct. Out of the six films Anderson has made to date Hoffman appeared in five of them. While many of these came before my deep dive into the world of cinema they are the ones I have been sure to catch up on as Anderson is commonly regarded as a great filmmaker and his filmography wasn't overwhelming to the point it was scary. While Hard Eight, Boogie Nights, Magnolia, and Punch Drunk Love each have there clear stylings and each offer interesting if not hilarious work from his constant collaborator it wasn't until 2012's The Master that it seemed Anderson found the right place in his mind to carve out a character closer to leading man status than supporting one that was meant for Hoffman. It makes one wonder what might have come down the pipeline in Anderson's original screenplays that might have eventually allowed for Hoffman to carry the full weight of a PTA film on his shoulder, but the more unbearable question of who will fill those shoes in future PTA films where Anderson will undoubtedly be unable to help himself when writing the kind of role perfect for Hoffman's talents. It only brings brighter light to the weight of the loss that Hoffman's death will leave on the present state of cinema. His most recent appearance on the big screen as Plutarch Heavensbee in The Hunger Games: Catching Fire left mountains of questions as to what will become of his character in the two-part finale scheduled for release this and next November. Fortunately, reports have claimed Hoffman was almost finished with his work on the series and that they will be able to complete the films without recasting his role or compromising his characters impact on the story. Hoffman's name comes with a certain amount of pedigree and when it was announced he would be joining such a commercial franchise as The Hunger Games it immediately brought a more substantial weight to the series, to its themes and a world of new credibility that, through his influence or not, translated to the film itself. While I look forward to now seeing films I haven't yet been able to catch-up on that reside in Hoffman's filmography they will naturally carry new and different meaning than they would have had I seen them prior to his death. Whether it be Scent of a Woman, Owning Mahowny, Almost Famous or 25th Hour (all of which I've always wanted to see but never seemed to get around to-don't judge me) each of them will create new memories of a younger Hoffman that will only add to this intangible aura that surrounds his entire career. I look forward to re-visiting those I haven't since initially seeing them; namely Doubt and Synecdoche, New York as well as his sole directing effort, Jack Goes Boating. These were films I found somewhat underwhelming upon initial viewing, but it is likely I was either too young and dumb or not enthralled enough with the material as I took it in to truly appreciate what was being conveyed. Synecdoche, New York is chief among these while I will always appreciate the subtlety of what he brought to his moments in Moneyball and the Ides of March. In my review of The Master I commented on Hoffman's performance as Lancaster Dodd as, "playing him just as you might expect a man of his own expectation to be. Dodd talks with confidence and clarifies his constantly thinking mind with fancy, flowery language that makes him come off as a great intellect, an academic which in turn convinces a great number of people of his credibility. Though it is exactly the way you might expect a figure such as he to act, Hoffman knows this and knows he has no other choice for he won't be taken seriously as the person he aspires to be if he does not keep up the self-serious facade at every turn." You have to wonder if Hoffman sometimes felt the same about his career and position in the Hollywood landscape, but as I said in the previous paragraphs, I don't think he cared all that much. He knew our celebrity-obsessed culture was one of fad and flash in the pan performers and that what he was really searching for was a legacy of considerable significance. 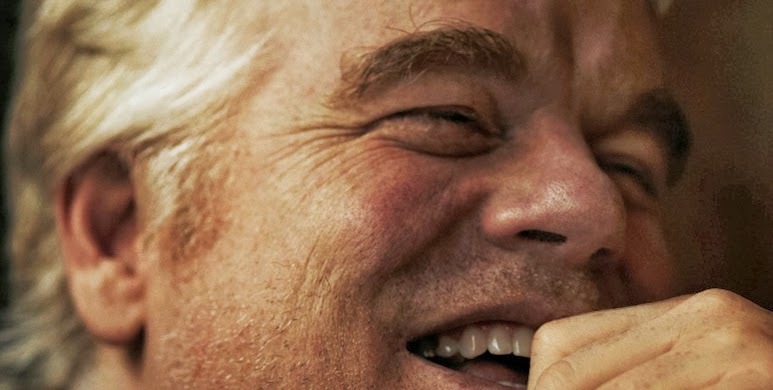 He knew he would never know what that legacy might be, but he knew he had a hand in developing it and despite the fact we won't know for many, many years exactly how Hoffman will be remembered it is hard to imagine it being anything less than the elusive affirmation he sought with every performance. One of the last pictures taken of Hoffman at the 2014 Sundance Film Festival.